Bacteria have developed transmissible resistance to almost every antibiotic in clinical use, both synthetic compounds and natural products. The mechanisms are well understood: antibiotic inactivation, target alteration, and drug exclusion. Some mechanisms are antibiotic specific, others class specific, and a few provide resistance to several classes of agents. Resistance genes are ancient and ubiquitous. Sources include antibiotic producers, soil cohabitants that needed protection in order to compete, and housekeeping genes that can be adapted to new uses. Transmission involves conjugative and nonconjugative plasmids, integrons, transposons, insertion sequences, and bacteriophage. Resistance enzymes can be inhibited, and antibiotics can be modified to restore activity, but bacterial enzymes can evolve to lose inhibitor sensitivity, and new mechanisms can be recruited to resist modified drugs. Resistance to available agents is increasing. New antimicrobial agents and fresh ideas are needed to overcome the declining power of our antibacterial weapons. ß-Lactamase classification and amino acid sequences for TEM, SHV and OXA extended-spectrum and inhibitor resistant enzymes http:// www.lahey.org/studies. Snesrud E, Ong AC, Corey B, Kwak YI, Clifford R, Gleeson T, Wood S, Whitman TJ, Lesho EP, Hinkle M, McGann P. Analysis of serial isolates of mcr-1-positive Escherichia coli reveals a highly active ISApl1 transposon. Antimicrob Agents Chemother. 2017;61(5). https://doi.org/10.1128/AAC.00056-17. Yin W, Li H, Shen Y, Liu Z, Wang S, Shen Z, Zhang R, Walsh TR, Shen J, Wang Y. Novel plasmid-mediated colistin resistance gene mcr-3 in Escherichia coli. MBio. 2017;8(3). https://doi.org/10.1128/mBio.00543-17. Toulouse JL, Edens TJ, Alejaldre L, Manges AR, Pelletier JN. Integron-associated DfrB4, a previously uncharacterized member of the trimethoprim-resistant dihydrofolate reductase B family, is a clinically identified emergent source of antibiotic resistance. Antimicrob Agents Chemother. 2017;61(5). https://doi.org/10.1128/AAC.02665-16. Kieffer N, Nordmann P, Poirel L. Moraxella species as potential sources of MCR-like polymyxin resistance determinants. Antimicrob Agents Chemother. 2017;61(6). https://doi.org/10.1128/AAC.00129-17. Albornoz E, Tijet N, De Belder D, Gomez S, Martino F, Corso A, Melano RG, Petroni A. qnrE1, a member of a new family of plasmid-located quinolone resistance genes, originated from the chromosome of Enterobacter species. Antimicrob Agents Chemother. 2017;61(5). https://doi.org/10.1128/AAC.02555-16. Cox G, Stogios PJ, Savchenko A, Wright GD (2015) Structural and molecular basis for resistance to aminoglycoside antibiotics by the adenylyltransferase ANT(2″)-Ia. mBio 6 (1). doi: https://doi.org/10.1128/mBio.02180-14. Hancock SJ, Phan MD, Peters KM, Forde BM, Chong TM, Yin WF, Chan KG, Paterson DL, Walsh TR, Beatson SA, Schembri MA. Identification of IncA/C plasmid replication and maintenance genes and development of a plasmid multilocus sequence typing scheme. Antimicrob Agents Chemother. 2017;61(2). https://doi.org/10.1128/AAC.01740-16. 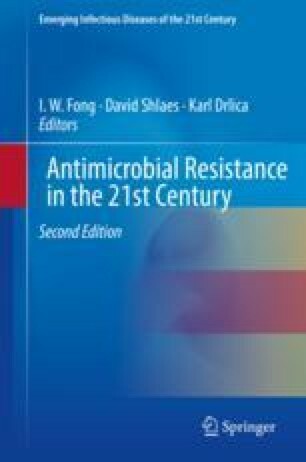 Shen Z, Ding B, Bi Y, Wu S, Xu S, Xu X, Guo Q, Wang M. CTX-M-190, a novel β-lactamase resistant to tazobactam and sulbactam, identified in an Escherichia coli clinical isolate. Antimicrob Agents Chemother. 2017;61(1). https://doi.org/10.1128/AAC.01848-16. Shields RK, Chen L, Cheng S, Chavda KD, Press EG, Snyder A, Pandey R, Doi Y, Kreiswirth BN, Nguyen MH, Clancy CJ. Emergence of ceftazidime-avibactam resistance due to plasmid-borne blaKPC-3 mutations during treatment of carbapenem-resistant Klebsiella pneumoniae infections. Antimicrob Agents Chemother. 2017;61(3). https://doi.org/10.1128/AAC.02097-16.